← . . . and the Great State of Illinois . . .
After two years of living in the heart of Civil War country (aka central Virginia) and playing park ranger, I was done with the Civil War. I had studied history in college and really became fascinated by 19th century American History. When I was offered a job for two years at the Fredericksburg and Spotsylvania National Military Park, I was thrilled to jump right in. Being more of a generalist and bringing a wide variety of other interests to the table, I realized that I was a tad out of place when arriving at the park. It seemed like most of my peers lived, breathed, and ate up everything and anything that had to do with the Civil War: board games, free time, historical fiction, jokes, t-shirts, travel excursions, etc. I was in awe of their fascination with the subject. It was what drove them in life. It was their absolute joy to learn and to share with others the epic story of one of the most decisive moments in our nation’s history. Alas, I plunged into the job with as much determination as my colleagues to fall in love with the Civil War, if for nothing else, for the sake of the visitors. By the end of my two years, my energy had been drained. My greatest passion, to teach others about environmental sustainability, had not been utilized, and I was ready for a change. So I moved. After two years in Virginia, I picked up and left for the forests of New England to get my graduate degree in Environmental Studies in the small town of Keene, NH. I had left Civil War country and was thankful for the change of scenery. On my first full day in the area, I took a stroll down Main St. in the original part of Keene. As I drew closer to the main square, I noticed a familiar statue. 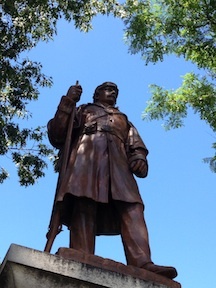 There, in the heart of this city that I was declaring “home” for the next two years, was a memorial to the local boys who had fought in the Civil War. What I thought I had just left behind in Virginia stood as the centerpiece of this small New Hampshire town. My immediate reaction was to hang my head in response to the infamous Murphy’s Law. I thought I had left the War behind! I thought. I was then amazed how quickly my reaction changed. Instead of dread and surprise at the unlikely find, I was was filled with thankfulness and pride. 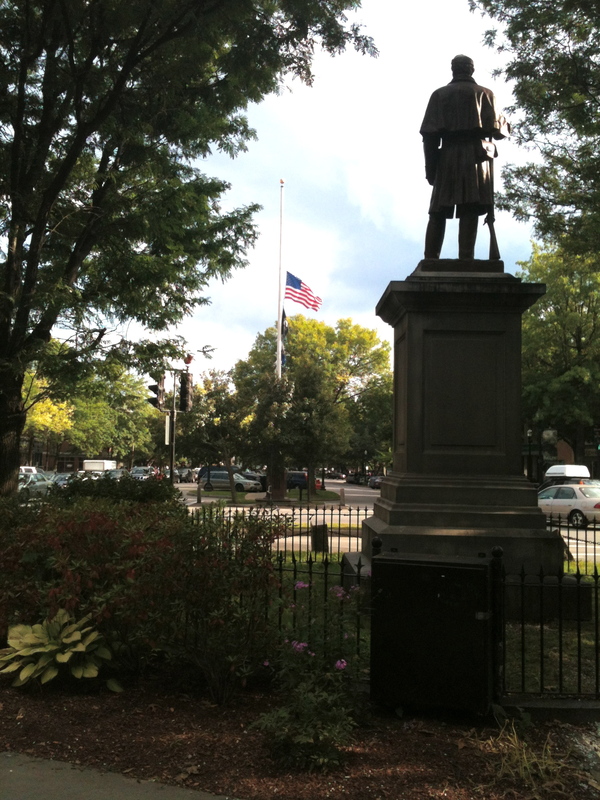 Thankful for the town of Keene for reminding its citizens of the sacrifice and price of this horrific period. Pride for the story of courage, determination, and conviction that I continue to be a part of. Of course my curiosity was piqued. I had to know more about the soldiers who came from here, where they went, and what their story was. Gathering in the same spot the memorial now sits, Keene locals quickly came together after the attack on Ft. Sumter to learn how they too could be a part of the action to save the Union. 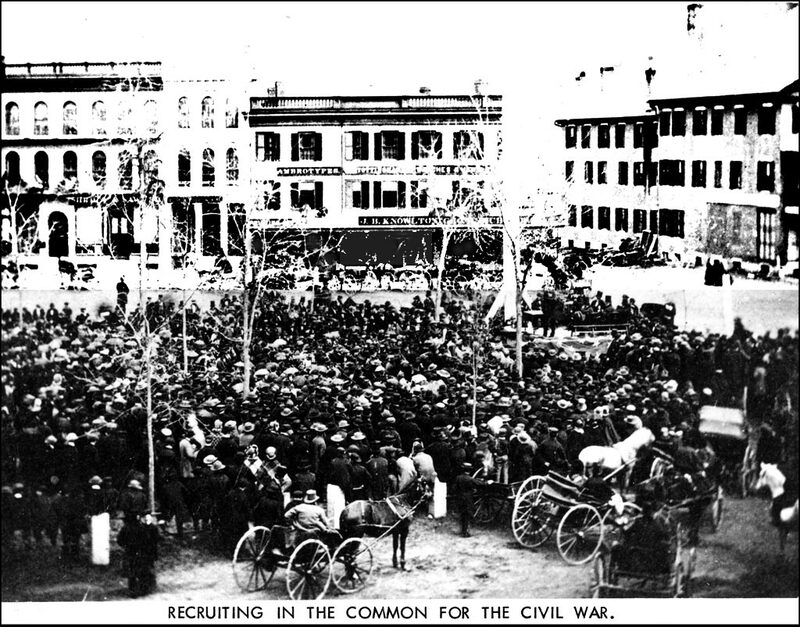 Developing into a recruiting station, hundreds flocked to Keene to volunteer for the war. In November 1861, the 6th NH organized in Keene and camped just a mile out of town. Leaving a month later, on Christmas day, and soon joined by their leader, Lt. Col. Simon Goodell Griffin, the regiment from Keene embarked on their journey through what would be some of the bloodiest encounters of entire war. 2nd Bull Run. Antietam. Fredericksburg. Vicksburg. Wilderness. Spostylvania Court House. Cold Harbor. Siege of Petersburg. In all, these guys had traveled through 17 states. They had also made an appearance at three out of the four battlefields I had shared with others. In particular, they had stormed the stone wall at Fredericksburg, being a part of the story I had shared countless times with others. Where I had thought I had left the Civil War behind me, I soon realized that, indeed, I only left that end of the story behind. With my relocation, I had found myself where the story of this bloody war began, where it was supplied, where it was supported—in the homes of the common citizen, in the forests of New England, in the hearts of families near and far. So, no, in fact I never did leave “Civil War country.” Rather I realized that we all live in places that have deep roots in this bloodshed. All of our lives will forever be affected by what not only occurred on those horrific battlefields but also in those small town squares scattered throughout the nation. 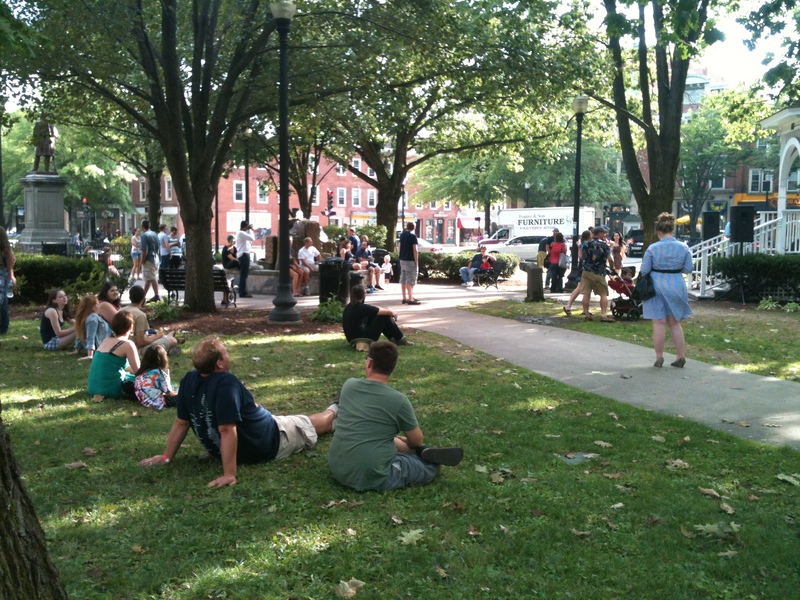 And for that, I thank you, Keene, NH for helping us to remember one of the most pivotal moments in our past. For helping me to remember–to be thankful, to be respectful, to be hopeful. This entry was posted in Civilian, Common Soldier, Memory, Monuments, National Park Service and tagged 6th NH, common soldiers, homefront, Keene, New Hampshire, S.G. Griffin. Bookmark the permalink. So often we pass by those stone Civil War statues that sit in so many town squares, and we hardly give them a glance or a second thoughts. Thanks for the reminder that those statues are there to represent millions of people just like us who answered the call to sacrifice. Todd, what a riveting story. Thanks for sharing more information. Like I said, I’m still learning the history of these NH regiments. It is stories like this one that you’ve shared that punch us in the gut and remind us how interwoven this war was in our history. Again, thank you for sharing. I have spent most of my life living in Central Florida, an area with a Civil War history that is largely ignored. I spent my childhood in an area called Cork, and when I was reading a book on Florida’s Civil War history I found that this very small (and still largely rural) area was on the map of Florida as “Cork Station,” one of the way stations for the cattle drives to feed starving rebel armies from points further south and east along the Peace River cattle country. Likewise, there were two engagements fought near Ft. Brooke (Tampa) that have been completely ignored. At least the town of Keane has done a good job of remembering its role in Civil War history. I wish that all areas could do likewise. It is a treasure to find Civil War graves here in California, and Civil War monuments. I am seeking info about the 5th NH Infantry. 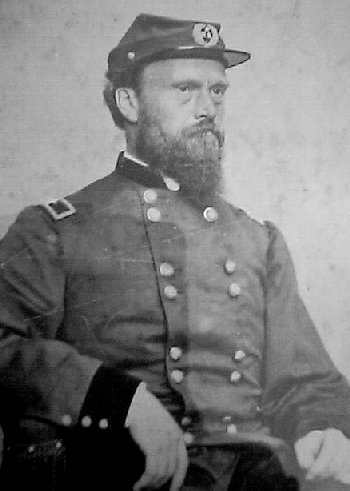 My great, great, great-grandfather, William Trask of Keene, and his son Daniel served together in the 5th NH in 1864-65. Daniel also served 1861-63 in the 5th and was wounded 3 times. William was wounded and captured at Sailor’s Creek and exchanged at Appomattox. I stumbled upon this website and wondered if you know any info or contacts I can pursue about the 5th. My daughter and I hope to make a visit to Keene sometime this fall and access the historical society there. Please reply when you are able. We have a family picnic Sept 15 and it would be nice to share interesting info with my relatives. Hi, Greg! Sorry for the delay in response. Unfortunately I don’t know too much more about the regiments that came from NH other than what I wrote about in this post. I’ve talked briefly with some of the people at the historical society here in Keene and they seemed to have some good resources on their hands. Also, when working for the NPS at Civil War sites, I learned that descendants like yourself can learn a TON by inquiring about your ancestors at those specific battlefields. You never know what sorts of letters, reports, etc. they acquire. Could be great places to investigate. Best of luck!